At Skylark Law & Mediation, PC we can assist clients in determining their best path and in following that path to a successful conclusion. It is important that you choose the right process for you. No matter which process you choose, our approach is to solve problems together. We encourage clients to focus on a process for resolving problems and their long term goals. Our method can be visualized with the upside-down pyramid pictured here. Please feel free to share with attribution. If you would like more information please do not hesitate to call us at 508.655.5980 or e-mail us. 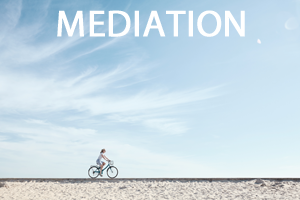 Mediation involves meeting with a neutral mediator to assist you in reaching a settlement. Even if you are already involved in litigation, you can resolve your disputes outside of court using mediation at any time. If you feel stuck and need a case evaluation you may be interested in a special form of mediation called conciliation. 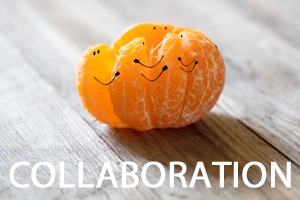 Collaboration, also known as Collaborative Law, involves working with an advocate in a team setting to find family-based solutions that focus on your unique circumstances instead of treating every case the same. 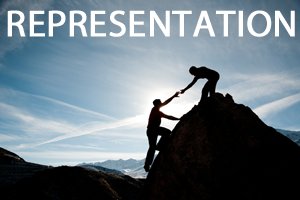 You have your own representation, but everyone is working together with a coach to ensure effective joint problem solving. You can hire an attorney to represent you in many different roles. Attorneys can represent you in settlement negotiation, in court representation, in limited assistance representation, or in a combination of these options. We can assist in drafting, educating, advising, and counseling and it’s important to consider the services you want your attorney to provide. We have created a free online quiz to help you Assess your Conflict. After taking the quiz you’ll be returned to this page to learn more. Collaborative Law – Collaborative law is a structured process that maximizes privacy, control, and cost-efficiency. You both work with your own individual collaboratively-trained attorney and neutral experts in the process ensure that communication improves and that you obtain all the information needed to make informed decisions. A Collaborative Coach/Facilitator helps parties communicate better, recognize their emotional triggers in the process, and fosters a team approach to problem solving. A Financial Neutral or other financial neutral expert helps parties collect, summarize and evaluate financial options so that any legal decisions reflect your financial goals with accurate information. Because you both have an attorney present, the opportunity for advice and information is equalized. 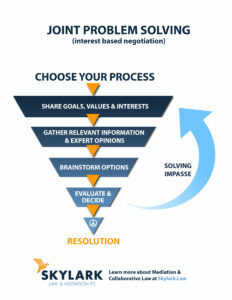 Mediation – Mediation is a flexible process that maximizes privacy, cost-efficiency and timeliness. A mediator can help with communication and providing information about your options, but the mediator doesn’t represent either of you. It is recommended that both parties obtain individual legal advice throughout the mediation. Having individual legal advice ensures that your decisions are informed, while the mediation process still allows you to speak with your own voice. Mediation can be difficult if one side has more power than the other. Attorney Negotiation– Negotiation between attorneys on your behalf is a process that emphasizes privacy and the importance of your position, but can often minimize communication and control because your views and positions are translated through other people. Depending on the complexity of the issues in a case, this can include meetings with both attorneys and the parties. In this option, the attorneys are typically only involved on the issues that the parties cannot resolve on their own. Since attorneys are not usually trained in mental health or financial planning, if there are complex emotional or financial issues, the parties must handle those issues themselves or hire additional professionals. Arbitration – Arbitration is a process that gives control over to a neutral individual. The advantages of arbitration over litigation are that you have a little more control, because you can pick your arbitrator and design the process of arbitration to fit your case’s needs. Therefore, arbitration is often faster, less formal, and cheaper than awaiting a trial before a judge. However, the biggest problems with litigation still exist in arbitration: lack of self-determination and lack of communication. Litigation – Litigation is a process designed to provide protection with standardized rules that apply to everyone the same. This can be important when there are factors which make it impossible to settle outside of court (such as violence or financial dishonesty). However, in most cases litigation should be the last resort. Since attorneys are usually not trained in mental health or financial planning, if there are complex emotional or financial issues, the parties must handle those themselves or hire additional professionals. In litigation communication issues are often made worse by the adversarial nature of litigation. Hybrid Options – Just like a dispute may have many different potential solutions, one process may not always fit perfectly. 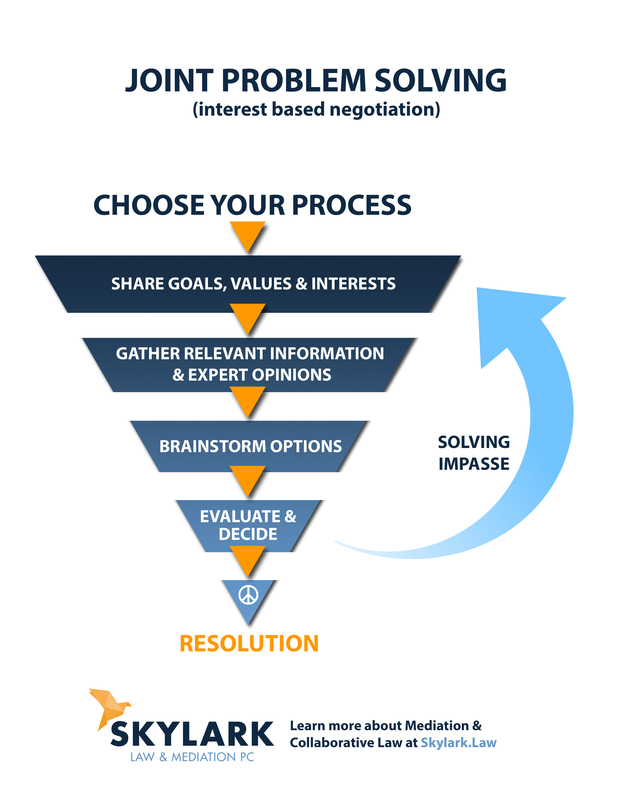 A Conflict Assessment & Resolution professional can help you determine the best fit or whether a hybrid option might work best. For example, the time and cost of litigation or arbitration can be reduced by combining it with other options. For example, a mediator is sometimes brought in to assist with settling specific issues in a litigation case. Click here to decide whether you should schedule an initial consultation, phone call, or an assessment consultation.